Reports From The Pharm: What's YOUR Story? 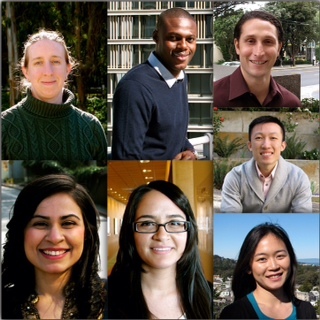 We are excited to share with you seven new profiles of current UCSF PharmD students -- adding to the 14 previously posted profiles. We love this project because it gives us a chance to share with you the dynamic path each individual has taken, along with the unique characteristics they possess. It would be super-crazy-cool if we could post profiles of EVERY student -- but that would be impossible. While every person has a different story to tell, we believe this group of students represents the diversity of experiences and aspirations reflected in our student body. What you don't necessarily get in the profile is the compassion, genuineness, and authenticity of each of these individuals. I've had the chance to work with all of them and am constantly reminded of the gentle nature they go about making a difference in the world. It truly is an honor to have them represent UCSF. Check out the profiles here!